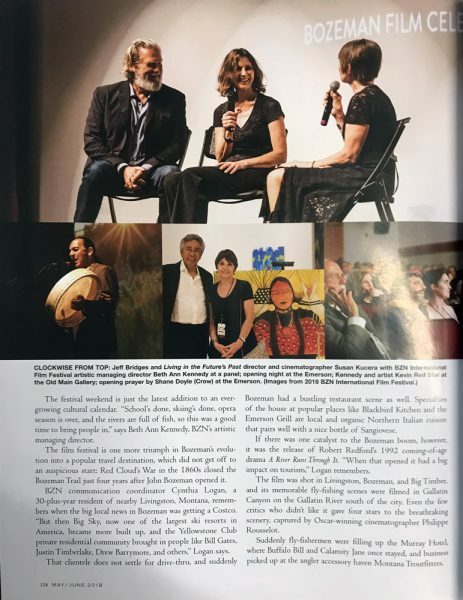 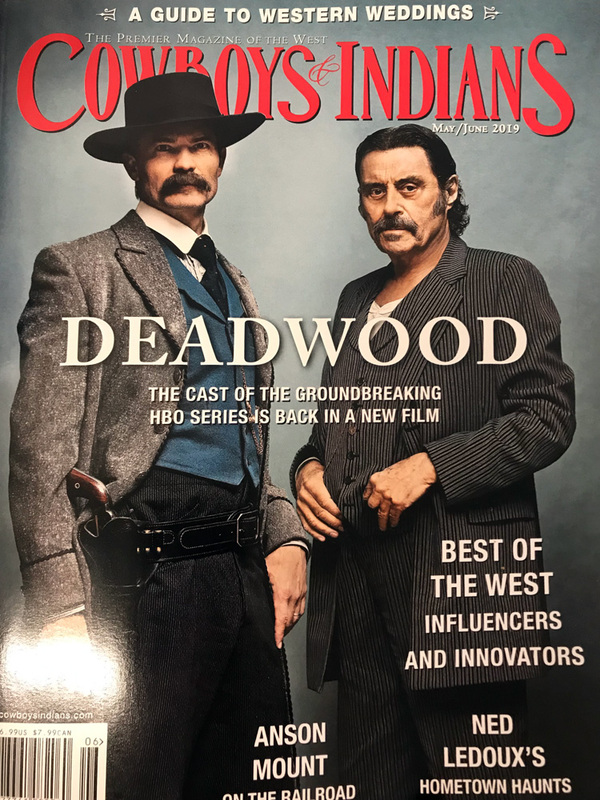 Kevin Red Star is in the May/June issue of Cowboys & Indians magazine, where he is pictured chatting with Bozeman International Film Festival Artistic Managing Director Beth Ann Kennedy at Old Main Gallery during last years film festival. 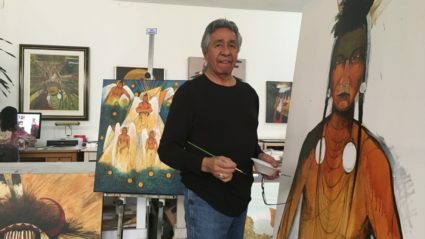 Kevin looks forward to this years film festival which will be held is June 6 – 9, 2019. More info and tickets at https://bozemanfilmcelebration.com. 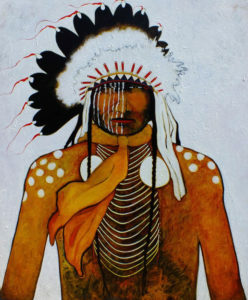 And be sure to see Kevin’s paintings at Old main Gallery. “I never set out to be an art collector,” says long time Kevin Red Star collector Jeff King. See the article here and then go to pages 36 – 38. 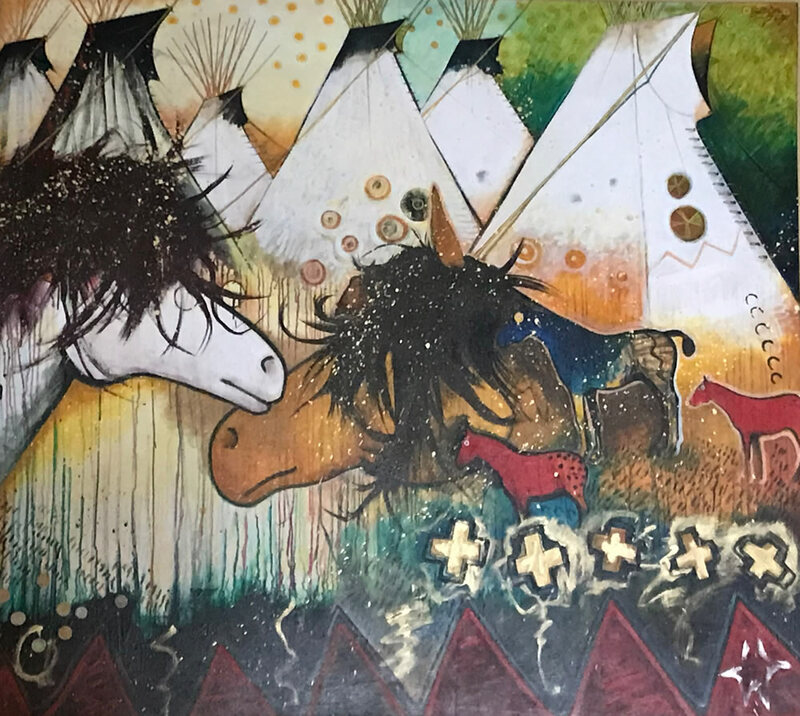 Yellowstone Public Radio interviewed Kevin Red Star on January 11 while covering the recent Ryniker-Morrison Gallery exhibit, “Many Blessings: Kevin Red Star with his Daughter Sunny Sky Red Star.” You can hear the interview and read about the event in their online article. The April 2018 edition of Treasure State Lifestyles Montana features Kevin Red Star on pages 62 – 63. 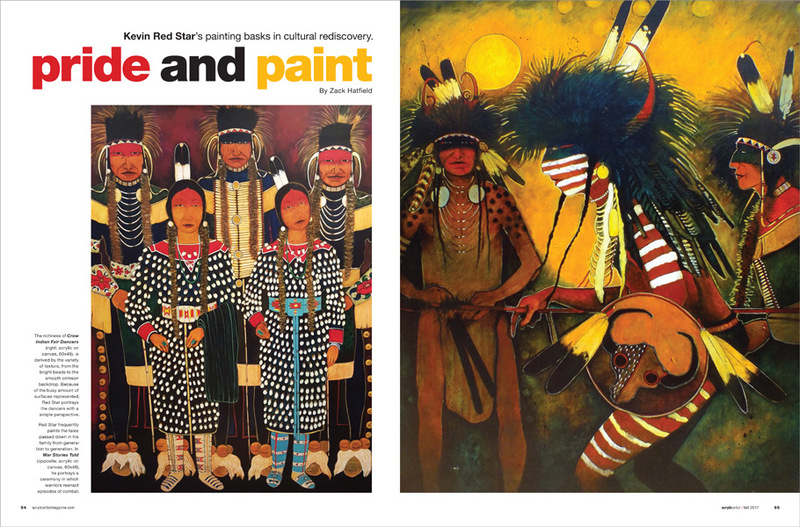 In the August 2017 issue of Santa Fe’s Local Flavor Magazine Kevin Red Star looks back at his formative days at the Institute of American Indian Arts. 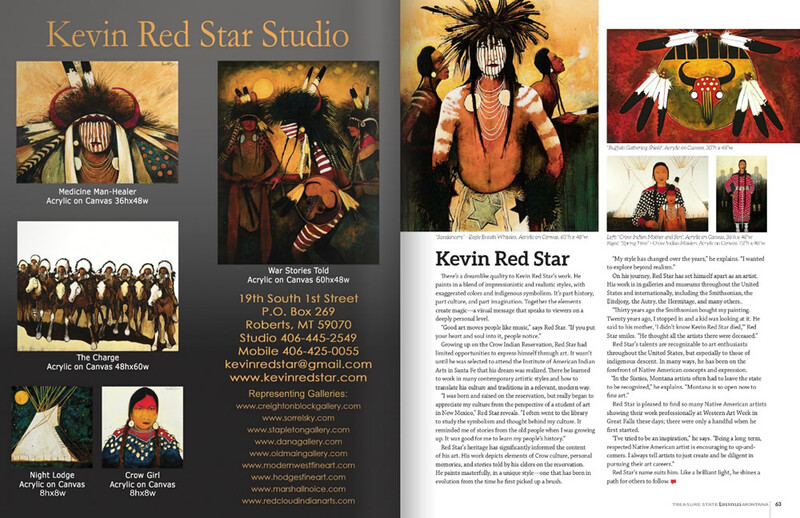 Acrylic Artist Magazine Features Kevin Red Star in "Pride and Paint"
The fall 2017 issue of Acrylic Artist features Kevin Red Star in an article by Zack Hatfield, “Pride and Paint”. 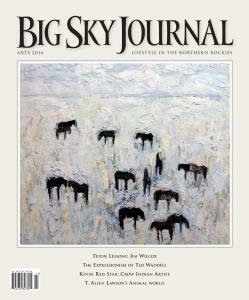 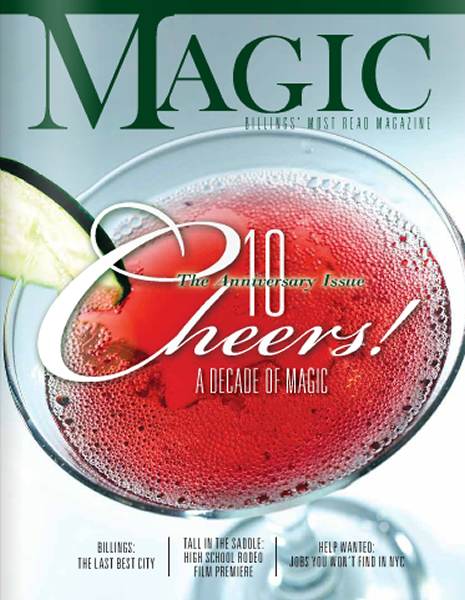 The magazine can be ordered online in print or downloaded. 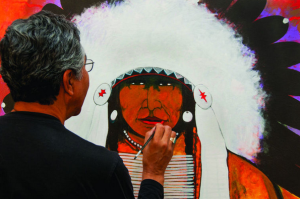 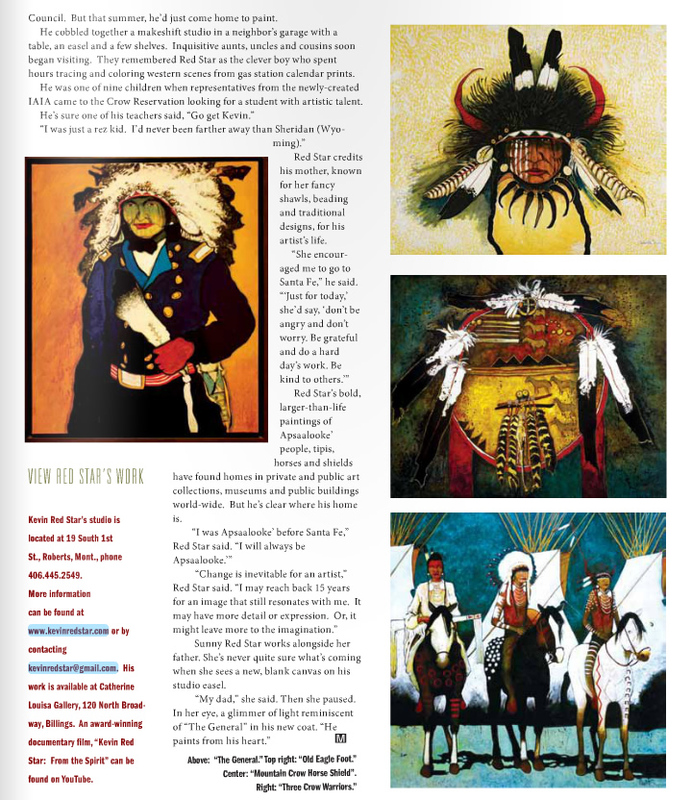 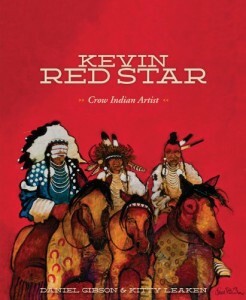 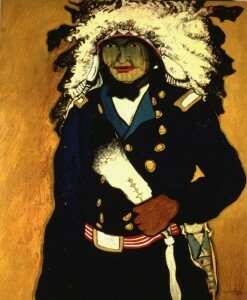 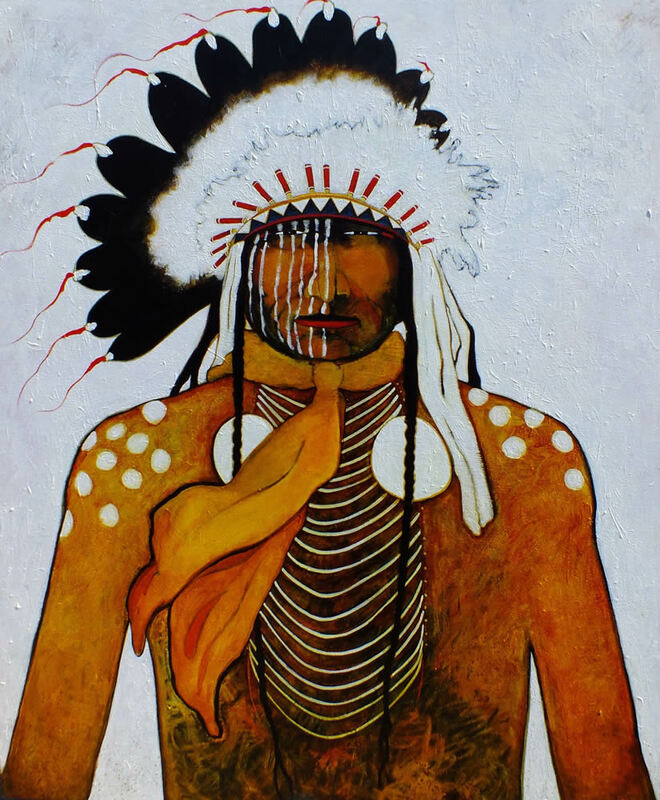 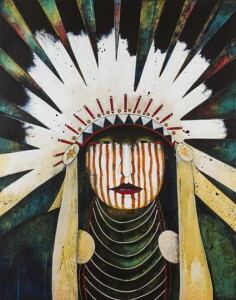 Gale Courey Toensing reviews the book Kevin Red Star: Crow Indian Artist. 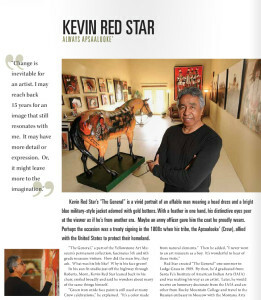 Kevin Red Star is featured on pages 22-23 of the magazine.